Relax in our luxurious 5 star hotel based in the heart of Suffolk, near to the Bury St Edmunds area. Designed with pure calm and relaxation in mind, our spa offers impressive facilities for you to enjoy and pamper yourself! Popular features at our spa include our stunning rooftop hot tub, the ideal place to relax with a friend or loved one, which is available year round! Our hydrotherapy pool is another popular facility, with five unique water experiences, and water jets which can soothe any tight muscles in your back, neck and shoulder areas. As well as a popular water experiences, we also have a rasul for cleansing mud treatments! With a private steam room, you can use this either on your own or with a friend and partner to apply a selection of body muds to detox your body. Once you’ve cleaned your body down from the muds, why not warm up in our thermal area of the spa? With a Hamman table, sauna and steam room there are plenty of areas to relax. We also have a decadent relaxation room for pure calm, this chilled area offers soft lighting, music and blankets to allow you to kick back and drift away. There are various spa days, breaks and packages available at our Suffolk based spa. 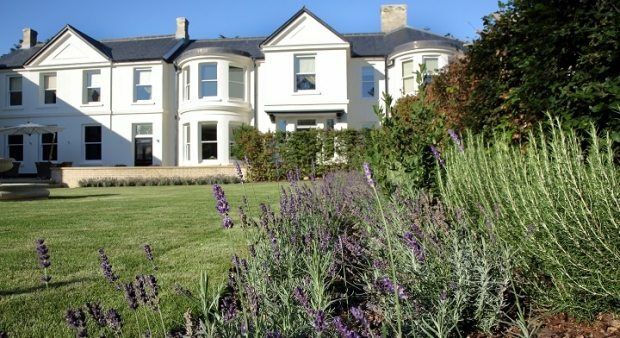 Near to the Bury St Edmunds area, our spa and hotel offers the perfect escape from the stress of everyday life! From our luxury champagne spa day to our popular relaxation days and spa days for two, there’s an experience for everyone! Why not turn a day into a weekend? Our spa days and breaks are the perfect way to unwind but a weekend will give you that little extra peace and calm! Our spa boasts a four star hotel with chic rooms, king-size beds and complimentary access to our fitness centre. We also have a two AA rosette restaurant with an eclectic menu and extensive wine list. Or for a more casual setting, there’s also our Roxana bar for a light bite. View our full range of spa days and hotel breaks near the Bury St Edmunds area.